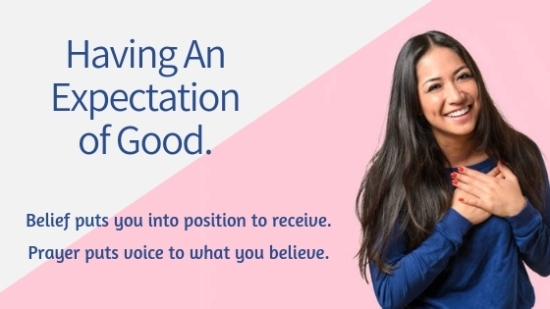 I have been feeling that the expectation of good is the phrase for this coming year. For some, last year could not have ended soon enough. And, while we are glad for a new year, the experiences of the past don’t always give us hope for a better future. When I watched the new Star Wars movie, The Last Jedi, I was bombarded with the idea of hope. Hope was the constant theme throughout the movie. Circumstances were strangling out hope. Memories of those who brought past victories reignited hope. And, the hope of a few could spark hope in others. Whether or not you like Star Wars, movies often put words and visuals to what God is speaking. There was at least one of those for me in this movie. When quoting General Leia Organa, they say, “Hope is like the sun. If you only believe in it when you see it, you’ll never make it through the night.” I believe this is God’s word for us this year. Paul tells us in Romans that it is in “hope we were saved. But hope that is seen is no hope at all. Who hopes for what they already have? But if we hope for what we do not yet have, we wait for it patiently” (Romans 8:24-25). Circumstances, the world, our enemy are all trying to get us to lose our hope. Because like Jesus, we endure painful experiences for the hope of what is ahead (Hebrews 12:2). If we lose our hope, we lose our focus; we lose our ability to press toward what God has called us into (Philippians 3:14). As we start this year, what will we choose to believe? Will we believe that things will not go well for us? Will we believe it is our lot in life to suffer? Or, will we believe that God is working all things for our good? Will we believe that God loves us and has a wonderful plan for our lives? This is really the test of our Christianity. We can’t not have hope if we have Jesus, for Jesus is our hope (1 Timothy 1:1). Jesus started His ministry on earth by quoting Isaiah 61. He will proclaim the year of the Lord’s favor. He will give us beauty instead of ashes, joy instead of mourning, praise instead of despair (Isaiah 61:1-3). Are you in despair? Are you in mourning? Does your life look like a pile of ashes? … Hold on to God’s promises. Your story is not finished. Some of us have lost life in our prayers because we have lost hope. We have seen the negative circumstances for so long, that we have lost faith to see that anything good may come. Fight to hold onto your hope. Prayer is the battleground where we hope onto our hope. While we confess seeing everything that is negative around us, we press into God with His promises of what He said He will do. God, You promised me joy, beauty, and praise. You say You are working everything out for the good. You say you are my hope. I choose to believe You, and I look to see how these changes may take place. Hope is the confident expectation that good is coming your way. While you can’t make something happen just by believing it will happen, you will more than likely see something happen if you believe it. Belief puts you into position to receive. Prayer puts voice to what you believe. Hebrews tells us that we please God with our faith and that He rewards those that come to Him (Hebrews 11:6). May this be the year that your faith becomes a giant magnet for the blessings God wants to give to you. Here’s to a great year! More than likely your church has some sort of discipleship plan. 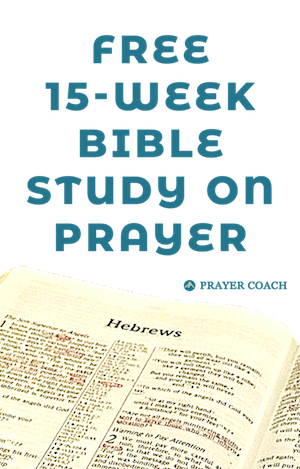 It may start as a Sunday school class or weekly Bible study, but through these gatherings you can build relationships that can turn into something more that you are looking for. Pray and seek. I pray you find that relationship. For 3 years, I was sinking into the sucking mud swamp of despair and hopelessness. A couple months ago, as I flailed around desperately, trying not to go under, I latched on to the rope of hope. I am now clinging to it tenaciously to pull myself out of the muck, even when others tell me that my situation is hopeless. For 3 years, the enemy has been laughing at me, taunting and mocking me, telling me, “It’s pointless to fight; just sink and die, and get it over with. Your usefulness is done. No one will miss you. In fact, you’re worth more to your family dead than alive!” Now I feel a new strength inside me to tell him, “Shut up and get lost in Jesus’ Name! I belong to Him; I don’t belong to you, so I don’t have to listen to you anymore!” I’m now learning to keep my focus on God, despite the enemy’s distractions. Sometimes holding on that hope with all our strength is all we can do. I know you will come through with greater strength and greater faith. I pray that you soon experience the joy on the other side.